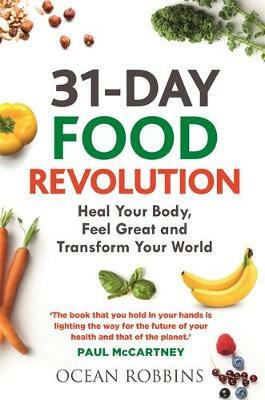 The 31-Day Food Revolution is an eater's guide to liberation from a toxic food world. It offers readers an action plan to eating food that is healthy, humane, sustainable and delicious, tapping into a growing market of readers who are hungry for more wholesome and natural diets that are easy to follow. In this book, Ocean Robbins, CEO of the Food Revolution Network, reveals the dark secrets the food industry doesn't want you to know that are making you and the people you love sick. He then shows you how, in just 31 days, you can use the healing power of foods to heal your gut, lose excess weight, dramatically lower your risk for diseases including cancer, heart disease, dementia, and diabetes - and contribute to a healthier planet. This is not a typical diet book: it doesn't fit into a particular 'diet' like vegan, paleo or sugar-free. Rather, it aims to educate the readers about the impact of nutrition on their long-term health, and does so from a strong scientific foundation.